Remember that skinny point guard who had an ugly jump shot and lead the Celtics to a championship in 2008? Rajon Rondo was a second year point guard who had the task of learning how work with 3 future hall of famers and learn how to win. The point guard is arguably the toughest position in basketball to play and master. You’re the quarterback of a team. You have to run the set you consider to be right at that moment or situation. Rondo learned very early in his career what it takes to win and he had very good mentors. Doc Rivers, KG and the Truth were focal points in teaching Rondo the ways and allowed his game to grow. The glory days of those Celtic teams are now over as they are rebuilding but they still do not know what to do with their best player. 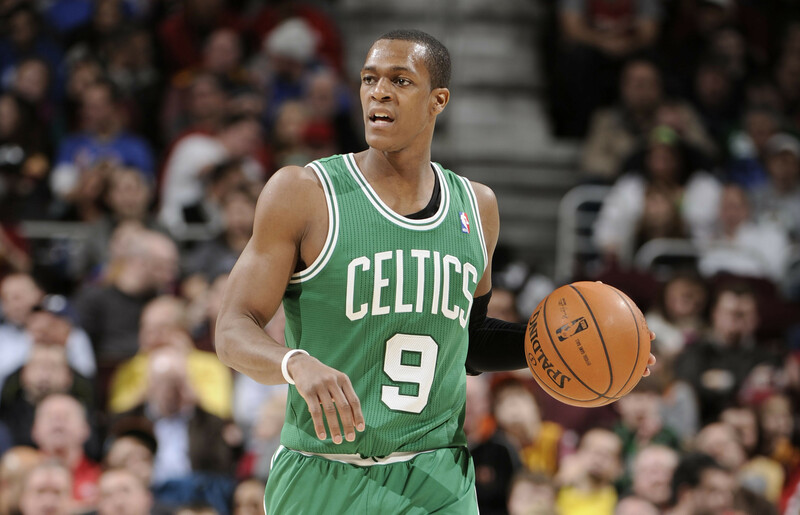 Rondo played in 30 games last season averaging 11.7 ppg, just under 10 assists and 5.5 rebounds. He was just getting into action after tearing his ACL the previous season. It wasn’t a terrible situation for the Celtics as they worked their way into a high draft pick. They had two first round picks which they used on Marcus Smart and James Young. Everyone was excited to see a healthy Rondo come back and play. He is a unique player to watch as he makes dazzling passes, streetball esk moves and will talk trash. The Celtics general manager Danny Ainge was defiantly looking forward to see what Rondo could bring to the table and see if he was the Rondo of old. If he was back to his all-star status he could demand a lot in a trade which would help speed up the Celtics rebuilding process. Than #9 for the Celtics fell in the shower and is now out for while. Do they trade the face of the franchise or do they rebuild around him? Do they attack free agency and bring back the glory days of the Celtics? Will a contending team flex their muscles to get this man? It is a curious case because it’s not like Rondo is an aging veteran or at odds with the fan base. Sure he is an arrogant, cocky and demanding superstar but what star isn’t. He acts how he wants to act and doesn’t really care what you think. You could be Doc Rivers and Rondo will still tell you exactly what is on his mind. His skill-set is very unique and certain teams would love to have him. Houston, Lakers and even the Knicks could be looking into the services of the former Kentucky player. With career averages of 11 ppg, 8.4 assists and 4.6 rebounds there is plenty of enough reasons for a contending team to take a shot on him. Houston should put the full court press on Rondo as he would play defence, get the ball to Howard/ Harden and wouldn’t need to score. There are negatives to having this NBA champ on your team though. He could clash with fellow superstars, inconsistent jump-shot and he is injury prone. No star athlete is the same after an ACL injury and NBA clubs will have to ask themselves is Rondo worth it. Rondo in a recent interview said he deserves a max deal. Max deals seem to be very common in todays NBA and especially with the new TV deal ( 9 year 24 billion dollars! 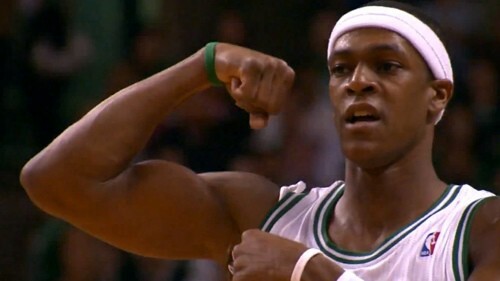 with Turner and ESPN) they’ll have to pay Rondo a big chunk of cash. Trading for Rondo won’t come cheap as the Celtics saw what the Wolves got for Kevin Love and they won’t settle for less. 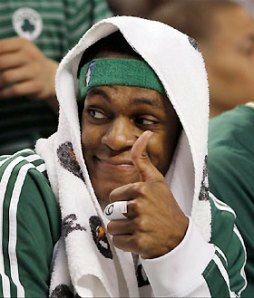 If Rondo wants a shot at winning, he’ll have to demand a trade or force his way out of Beantown. The Celtics won’t win for a while so it would be in his best interest to team up with another supers or two. His 19 career triple doubles just shows how effective this star point guard can be. His unique style, personality and jump shot will be cherished wherever he goes. He just needs to do it in a place that doesn’t reside in Boston, Massachusetts. David Price on Anthony Joshua: I Would Try To Take His Head Off!